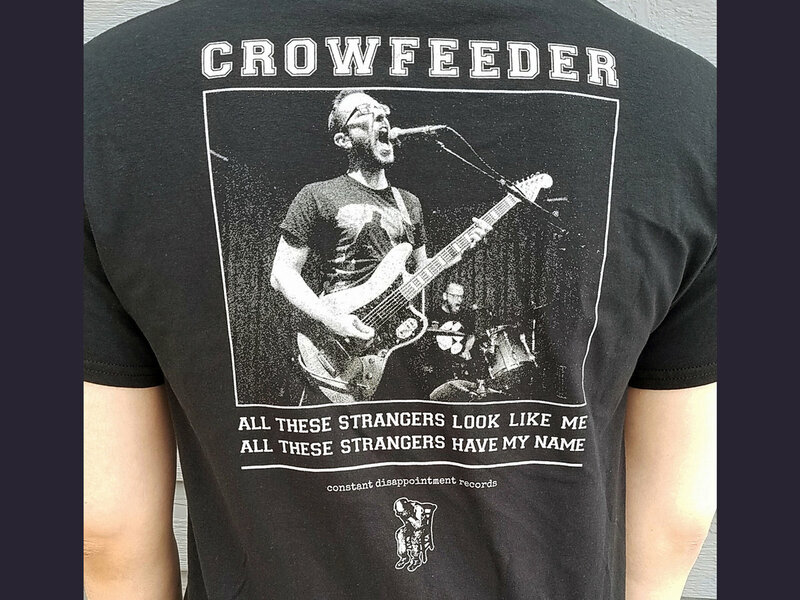 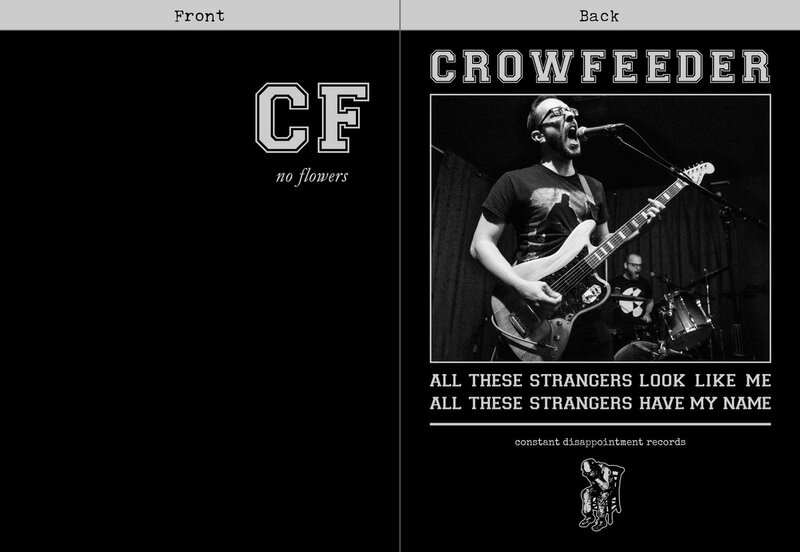 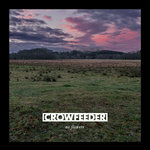 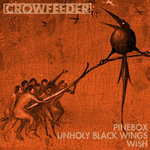 Crowfeeder HxC shirt for CDR-01 No Flowers. 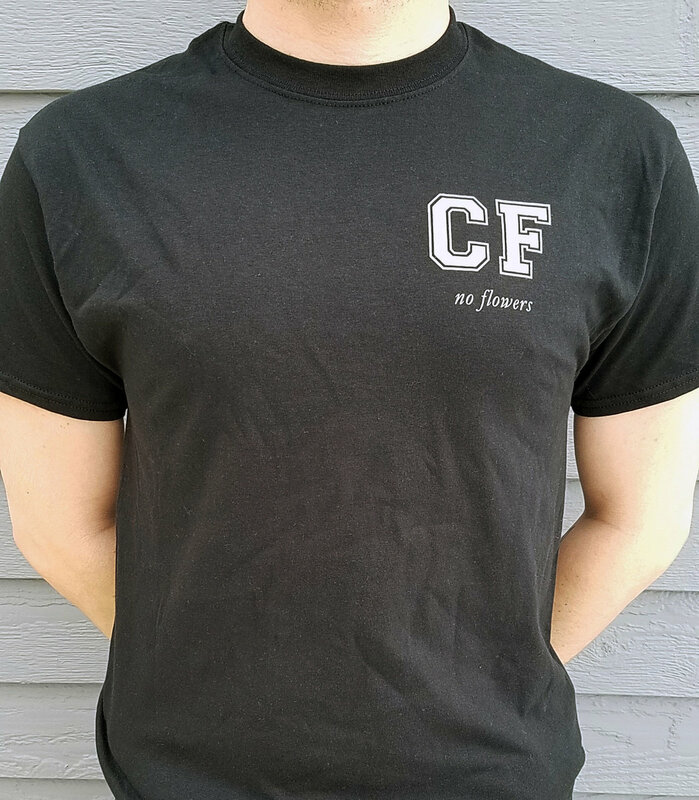 Light gray ink on black Gildan shirts, double-sided. Image on back taken by Noise Floor Photography.